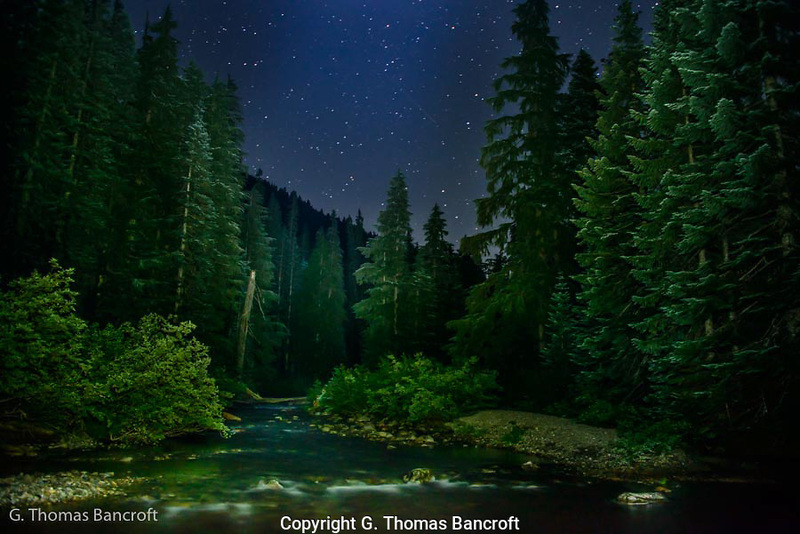 I hiked down to the edge of Deception Creek near where I camped to look for stars. I found a great rock that allowed me to climb out into the creek. I sat watching the stars for 30 minutes. The creek gurgled softly by as the night unfold including a few shooting stars.